It’s 3:35 p.m. on a Friday afternoon. As the bell rings, students shuffle out of Deer Path Middle School, huddle with their friends, and stride across the front grass on their way to downtown Lake Forest. At the same time, a student by the name of Caleb Durbin makes his way out the back doors and into the parking lot in search of his father. He spots the family car, hustles over, and climbs in. Then, the father and son drive off on their way to South Park. They pull up to the single batting cage nestled in the back corner of the field and Durbin begins his first round of swings. With his father firing pitch after pitch, Durbin perfects his short, compact swing until the sun sets over the railroad tracks to the west. That is the way of life in the Durbin family. The early mornings, late nights, and hours of hard practice are the things that molded not only Durbin, but his father Regis Sr. as well. “My dad was probably harder on me and my brother than the average parent,” said Durbin after practice in one of the West Campus gyms, “but that is what made us better players.” Durbin’s father wrestled at Northwestern University and came from strong English roots, which made him the perfect father to get the most out of his sons in both life and sports. “Whenever I went 3-4 in a game, he would always ask me, ‘why didn’t you get that last hit?’ He was never satisfied and that taught me to keep working and improving all the time.” Under the direction of his father and in the footsteps of his older brother, the path was paved for Durbin to become the face of Lake Forest athletics. This year, for the first time in his high school career, Durbin played on the varsity football team. Previously, Durbin dedicated his falls to baseball, but that was not the case this year. With a wide open schedule, Durbin decided to become a three sport athlete and throw the pads on once again. “Football was a sport I always loved playing, but couldn’t due to baseball,” mentioned Durbin. “It was nice to play under the lights at Varsity Field this year.” Despite being inexperienced and removed from the game, Durbin tallied 31 total tackles at cornerback in just seven games. “We couldn’t play him much in the first few games because he needed to learn the mental side of the game,” said Lake Forest secondary coach Joseph Busse, “but once he was in there, he had a real productive season.” Relying on his speed, grit, and athleticism, Durbin became an integral piece of the secondary and defense that helped Lake Forest to a (6-5) record. Following an impressive fall with the football team, Durbin made the shift from the turf to the mats. The staple sport of the Durbin family, wrestling was something Durbin dominated. As a captain on this year’s team, Durbin maneuvered his way to a (38-11) record, which was good enough to qualify him for another playoff appearance. In the Barrington sectional, Durbin nixed Brock Emmerich in the consolation semi-final to secure a trip to the state in the 160-pound bracket. At the state finals in Champaign, Illinois, Durbin bowed out in the first round to the eventual champion Matt Ortiz. Despite the unfortunate ending, Durbin set a team season record in technical falls, and set season and career records in both two and three-point technical falls. 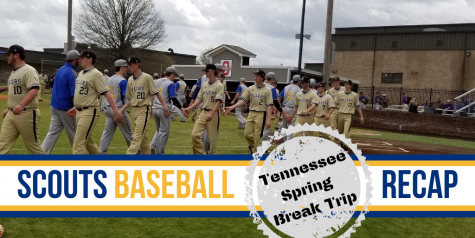 With the Friday night lights and Saturday morning meets out of the way, the calendar turned to baseball season. 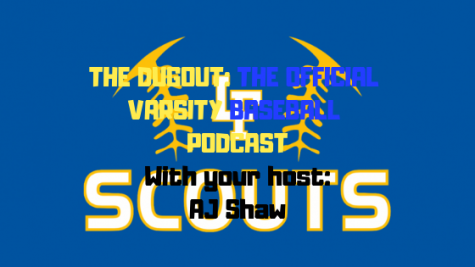 As a captain on the baseball team as well, Durbin would be a key piece to the Scouts lineup as the the leadoff hitter and shortstop. 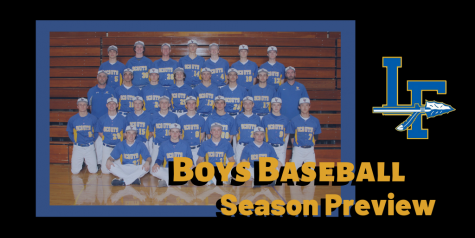 “Caleb is a guy you can rely on to set the tone at the top of the order,” said Lake Forest head baseball coach Ray Del Fava. Coming off a junior season in which he batted an unprecedented .500, Durbin was primed to dominate the opposing pitchers once again. In the first four games of the year, Durbin found himself hitless at the plate in 17 attempts. 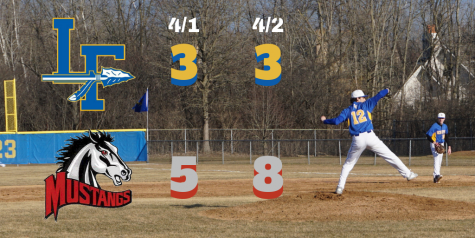 After beginning conference play, however, Durbin heated up at the plate and brought his average back up to .350. 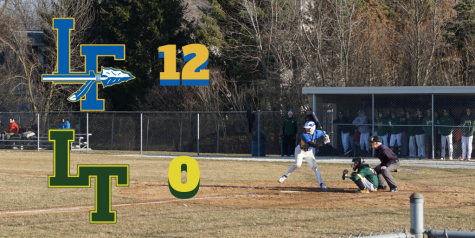 On May 9th against Mundelein, Durbin became the all-time hits leader in program history, as he eclipsed J.R. Reimer’s record of 111. 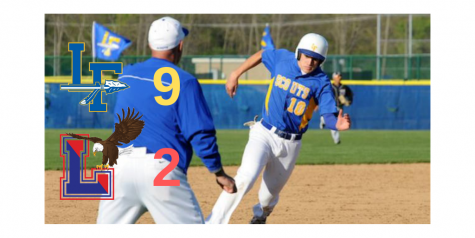 All season long, Durbin anchored both the infield and lineup, leading the Scouts to a regional final appearance against Warren. 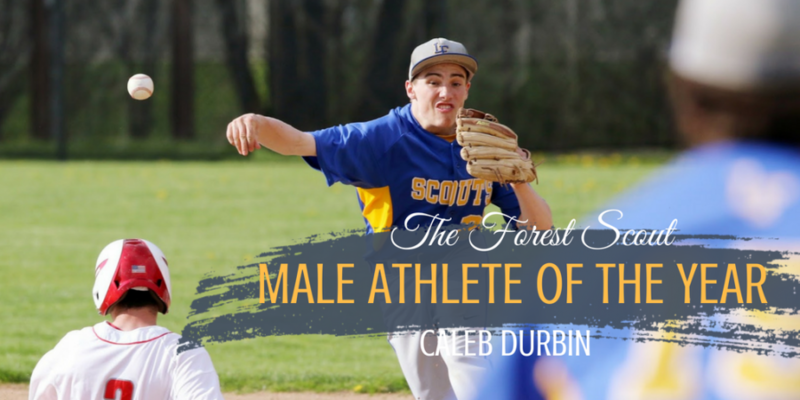 From August to May, Durbin has embodied the character and performance of the ideal high school athlete. Not only was a he a key player on three varsity sports this year, but Durbin was also an all-academic honoree in the process. He was a leader, a scholar, and a gamer. He gave his full effort in everything he did, which made himself and his teams better in the process. Much like his older brother Regis, Durbin has left a lasting legacy on Lake Forest High School and its athletic program. When it came down to the athlete of the year considerations, there was no other player that excelled both on and off the field and for the duration that Durbin did. While nobody knows what the future hold for Durbin, there is no doubt he has the heart and work ethic to be successful in his future endeavors. Next year, Durbin will continue his academic and athletic career at Washington University in St. Louis, where he will be studying economics. Great article on a terrific student athlete!